The perfect summer vacation resort! Family vacations, fishing groups, girls getaways, small families, couples & single vacationers alike. Make a reservation for lunch or dinner today. Overlooking beautiful Buckhorn Lake, Frederick's at Beachwood is the perfect setting for an occasion to remember. Take a short drive and come visit, stay afterwards for a long walk. Situated on 1400’ of prime Lower Buckhorn Lake shoreline, our location offers the best of both worlds, experience a ‘Kawartha cottage getaway’ with the amenities of home. A picturesque setting, ideal for the perfect wedding. 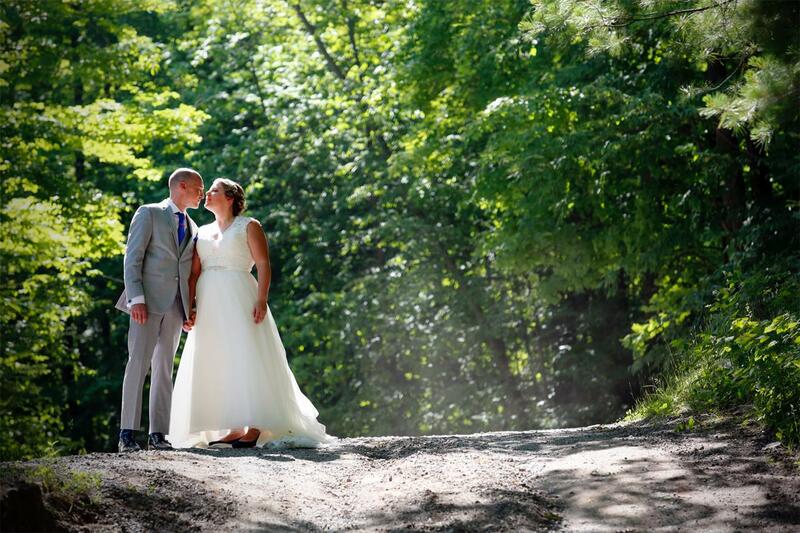 Celebrate this special time with the experience of a lakeside wedding on the shores of beautiful Lower Buckhorn Lake. A time to be remembered and cherished! Inspire your team. Call today! Centrally located between Toronto and Ottawa our year round venue offers meeting facilities for up to 70 and event space for 120. Our award winning Ontario resort is located in the heart of the Kawartha Lakes, Central Ontario, Canada, just north of Peterborough. Beachwood Resort has been welcoming guests for over 90 years…and we would be pleased to welcome you! 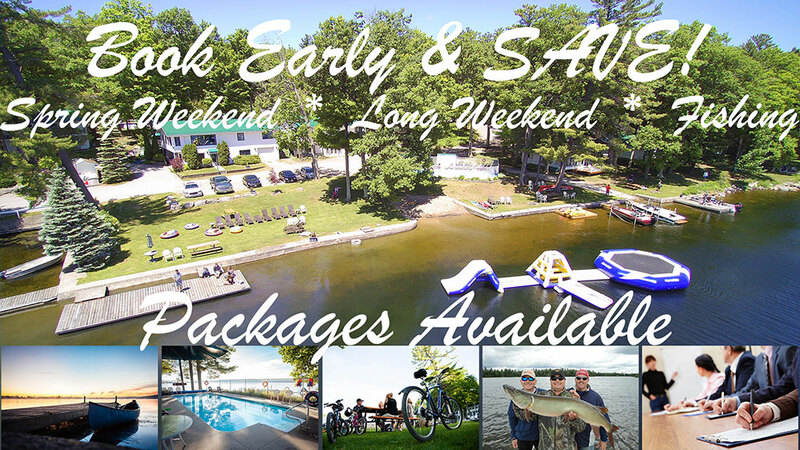 Situated on 1400’ of prime Lower Buckhorn Lake shoreline, our location offers the best of both worlds, experience a ‘Kawartha cottage getaway’ with the amenities of home. Just 20 minutes north of Peterborough, Ontario, and within 2 hours of Canada’s largest International airport, Beachwood Resort is the perfect place for your next vacation! You will find a variety of accommodations, there’s one perfect for you – from a large family gathering or multi-generational vacation to an intimate getaway, we can design a package to suit your needs. Celebrate this special time with the experience of a lakeside wedding. A time to be remembered and cherished! Beachwood Resort offers a picturesque setting. We host weddings for up to 120 people. Experience Frederick’s at Beachwood’s fine country cuisine while taking in the panoramic view of Lower Buckhorn Lake from your table. Whether you are staying at Beachwood or live nearby, the charming atmosphere is sure to please. Whether you’re looking to learn some cooking tips, or how to select the perfect wine, we’ll be featuring some very special evenings. Check back often to view our latest ‘experiences & events’ section. An experience you’ll cherish and remember for years. Multi-generational Retreats are an excellent way to spend a vacation and create family memories that last a lifetime. Bringing the whole family together can foster ‘togetherness’ within a relaxed atmosphere that has something to offer everyone. Centrally located between Toronto and Ottawa our year round venue offers meeting facilities for up to 70 and event space for 120. 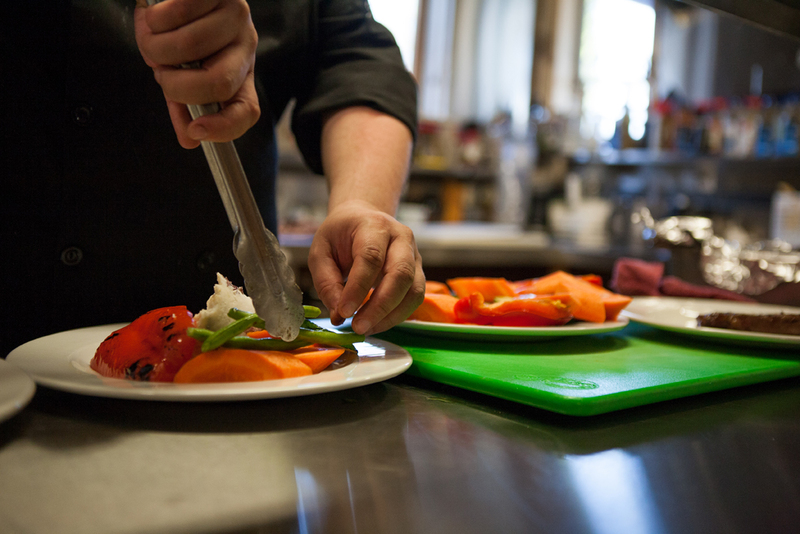 With flexible plans, attention to detail and experienced staff, the success of your retreat is our mission. Our spacious lawns and giant trees offer excellent locations for ceremonies and photographs. The heated outdoor salt water pool by the lake is a lovely spot for photos and for your guests to relax and enjoy what the resort has to offer. Whether it’s a long walk through the forest, relaxing in a lakeside chair, or roasting marshmallows while listening to the loons, we have it covered. And when it comes to kids, we’re really just one big playground. The perfect vacation!